General forum information, announcements, news, questions and suggestions. The following words in your search query were ignored because they are too common words: adf ly. You must specify at least one word to search for. Each word must consist of at least 4 characters and must not contain more than 84 characters excluding wildcards. 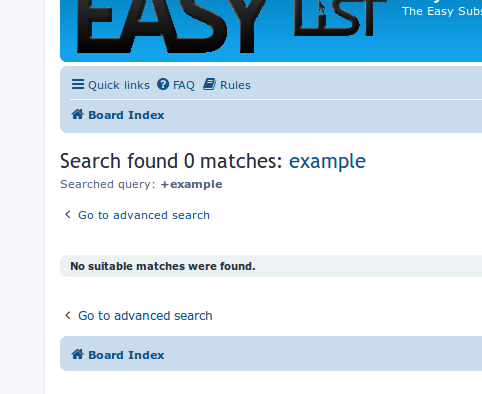 Lanik search feature is configured to index only words with more than three characters. This will help a lot. @Lanik Did you change something on the search setting?